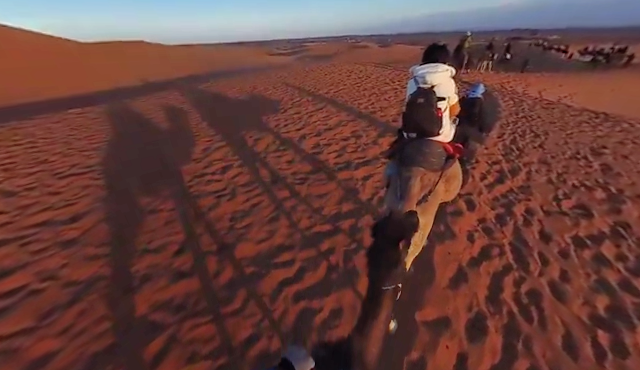 Here’s a new video from the Z Cam S1, this time in the Sahara desert. Update: new video added February 6. Z Cam S1 is a professional 360 camera with up to 6k resolution. They have posted several sample videos with impressive image quality (see here). The latest sample posted by Z Cam shows the S1 carried on a camel traveling in the Sahara desert. Although the camera moves a lot, the stitch remains smooth. The video also shows pretty good image quality in very challenging lighting conditions. You can see related posts about the Z Cam S1 here.